Minister Debra Berry serves as the Minister Of Christian Education/Discipleship & Spiritual Formation for First Baptist Church of Gallatin, Tennessee. She previously served as the Minister of Education at Sixth Avenue Baptist Church of Birmingham, Alabama where she developed and/or directed numerous minisries that included the Sixth Avenue Baptist Church Child Development Center, Singles Ministry, Wednesday Night Live Family Night, Midday Bible Study Program, Leadership Training Initiatives, and the Fifty-Year Members Club. Minister Berry later served as the church's Associate Pastor supervising the full-time ministerial staff members. 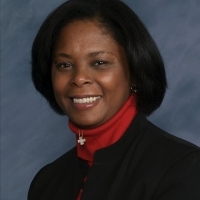 Minister Berry also serves as the Associate Director of Church Resources for the Sunday School Publishing Board of the National Baptist Convention, USA Inc., and she has served as the International Program Chair for the Baptist World Alliance (BWA) 16th Youth World Conference. She is a member of the BWA, Youth Executive Committee, and the BWA Commission on Human Rights Advocacy. Minister Berry has the distinction of being the first African-American female in the nation to serve as a chaplain in the Army National Guard. She served as the Wing Chaplain for the more than 900 members of the 117th Air Refueling Wing, Birmingham, Alabama where she achieved the rank of Lieutenant Colonel. A published author, Minister Berry wrote the Bible study, Be Restored! God's Power for African-American Women, which offers a blueprint for spiritual restoration based on the Old Testament book of Nehemiah. Minister Berry has shared God's Word in various countries that include Germany, England, Venezuela, Amsterdam and France, and she has exercised other ministry gifts in more than 20 countries including China, Ghana, Liberia, Mexico, and Panama. Minister Berry graduated with honors from South Carolina Stated University earning a Bachelor of Arts' degree in Professional Sociology. She also graduated with high honors from The Interdenominational Theological Center, Morehouse School of Religion, with a Master of Divinity degree concentrated in Christian Education. Her awards and recognitions include: National Association of Professional Women's Woman of the Year, Outstanding Women in America; Religious Leader of the Year, AME Church; Educator of the Year, Omega Psi Phi Fraternity; Outstanding Service Award, Alpha Kappa Alpha Sorority; and Leadership Birmingham Class of 2000. Minister Berry is a native of Charleston, South Carolina.